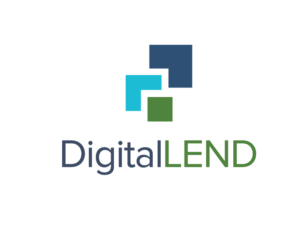 BALTIMORE, NEW YORK and SAN MATEO, Calif. – September 20, 2016 – To provide a pathway to accelerate the adoption of online lending and overcome traditional lending barriers through technology, FinTech leaders Cloud Lending Solutions, Crowdnetic and eOriginal today announced the debut of DigitalLEND. Ready for rapid deployment, the customizable and integrated DigitalLEND solution allows lenders to move online quickly and capture market share in this growing sector. As noted in an article from management consulting firm, Bain & Company: FinTechs are creating new models to make lending decisions, source capital and service loans. Often, they can offset at least some of the scale benefits of large banks with simpler digitalized processes. “Online lending is only going to continue to grow and integrated solutions like DigitalLEND will not only help traditional banks to make the shift online, but will also provide an integrated, trusted platform that will benefit the entire online lending community as a whole,” said Jon Barlow, founder and former CEO of Eaglewood Capital Management. “The industry needs a digital transaction solution that manages each step of the process and provides additional levels of transparency on both the documents and the underlying data.” Barlow is an advisory board member at eOriginal and shareholder at Crowdnetic and Cloud Lending Solutions. Cloud Lending Solutions: With a suite of SaaS products that includes loan origination, loan management, lease servicing, marketplace lending and collections, Cloud Lending Solutions allows customers to efficiently manage loan portfolios, increase transaction volume, and rapidly bring new products to market for financial institutions all over the world. Built natively on the Salesforce platform, customers can safely and confidently utilize cloud technology to significantly lower costs, generate greater revenue and outperform their competitors. Crowdnetic: Lending Gateway facilitates the delivery of competitive pre-qualified loan offers from multiple lenders via a seamless technology interface. At its core, Gateway is an intelligent information engine that connects borrowers referred by traditional financing sources (such as banks) with web-based lenders. Gateway also has the capability of allowing leading retail and other brands to present loan alternatives to their customer constituencies. eOriginal: The eAsset® Management Platform enables businesses to go beyond simple electronic signature functionality to manage the entire lifecycle of a digital transaction in a fully electronic environment. For needs ranging from secure storage to pledging or collateralizing in the secondary market, we treat each and every transaction within this platform as a financial asset that must be verifiably secure, legally compliant and enforceable. These post-signature services can be classified in three categories: Vaulting, Transaction, and Transferable Records Services, including securitization of financial assets. For more information about DigitalLEND, visit www.DigitalLEND.co or email sales@DigitalLEND.co. Cloud Lending Solutions™ is a financial services technology company. We offer a cloud-based, end-to-end lending platform that delivers innovation to the global lending community. Cloud Lending Solutions digitizes origination, underwriting, servicing and collections, creating a single system of record for your lending operations. Clients include banks, credit unions, traditional finance companies, online lenders, and marketplace platforms. With offices in New York City and Hyderabad, India, Crowdnetic is a leading provider of technology, infrastructure and market data solutions to the online-lending and crowdfunded-securities industries. Through its sophisticated technology, in-depth research reports and industry-leading conferences, the company provides infrastructure and transparency for the global alternative finance marketplace. Crowdnetic’s Lending Gateway is the industry’s premier platform for connecting all market participants seamlessly and efficiently. Founded in 1996, eOriginal is the trusted expert in digital transaction management solutions, specializing in the post-execution management of financial asset documentation. eOriginal SmartSign® and eAsset® Management Services enable an end-to-end solution for fully electronic transactions that must be managed with the highest levels of security and compliance throughout their lifecycle. By treating every transaction as having assets that must be verifiably secure, legally compliant and enforceable, eOriginal provides its customers and partners with eCertainty®. For more information, please visit https://www.eoriginal.com. eOriginal®, eAsset®, eOriginal SmartSign® and eCertainty® are trademarks of eOriginal, Inc. and are registered in the United States or in other jurisdictions.